Diamonds are a girl's best friend? Please – anyone who says this clearly hasn't encountered the Wine Woodie. Now, before we start, I would like to unequivocally state that I am not a lush. However, I can definitely appreciate the ingenuity and dedication that went into making this wonderful work of art. It's not often that you get to go camping with your own bar in tow. It's much less likely that it's going to be a wine bar, but the creators of the Wine Woodie have done it brilliantly. 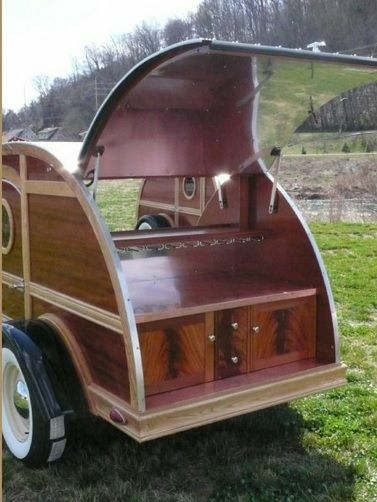 This fully-loaded custom teardrop trailer, built by Silver Tears Campers, has all you need for a romantic weekend in the Rockies with some bubbly. Before we get to the really good part, how about a little teaser? 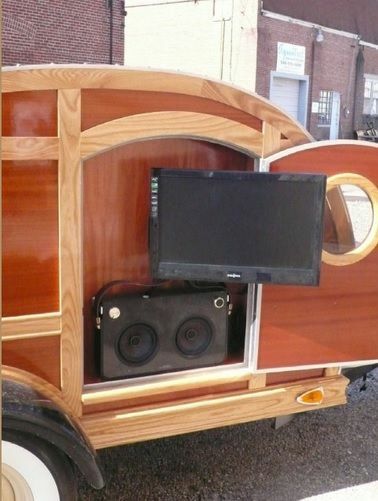 This trailer has an amazing flatscreen TV with a huuuuuge speaker. You could fill an amphitheater with people and watch a romantic comedy using this setup. Ah, here we go. 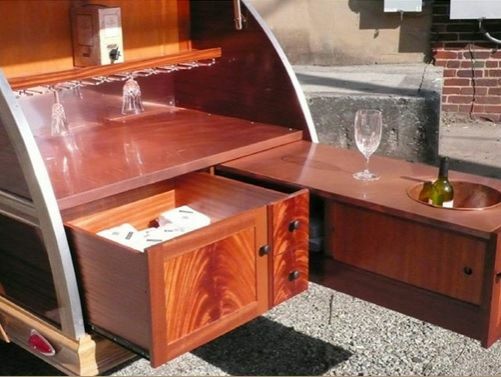 This camper has no sleeping quarters... only wine. The wood finish is a nice touch, and a multitude of cabinets let you store everything you need for wining and dining. 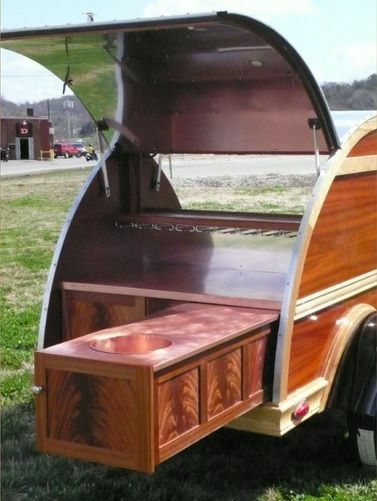 Yes, there is an actual bar in this trailer. One of the sliding drawers pulls out quite a ways to reveal a smooth surface for cheese prep and a deep basin for chilling your wine. It's basically the world's most amazing sideboard. Down below, some more cabinetry stores plates, napkins, and so on and so forth. 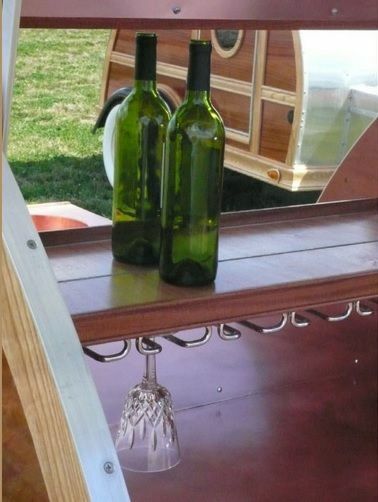 The Wine Woodie has its own built-in wine rack. You can easily fit half a dozen wine glasses. If you don't have a significant other who'd like to tag along, who says you can't do Netflix and chill by yourself? Pour the wine and cut the cheese! Er, well, you know what I mean. 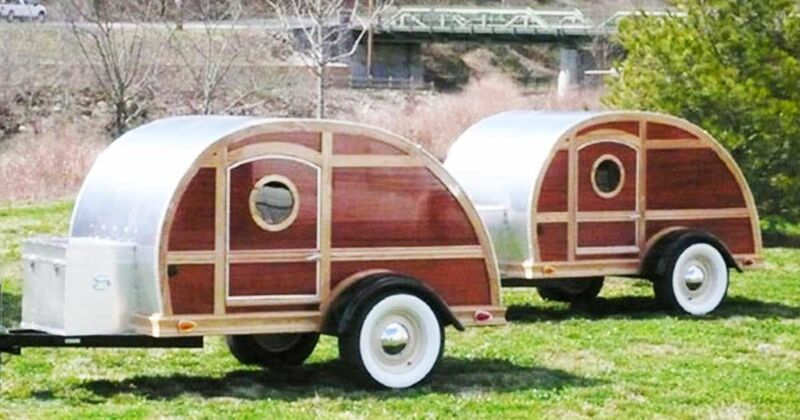 If you loved seeing this clever teardrop trailer, head on over and like our Teardrop Trailers Facebook page to see more awesome models. Don't forget to share the Wine Woodie with your family and friends on social media. The 510 XS TreeLine Teardrop is designed specifically for off-road exploration, and it has the tires and the extra features for that very purpose. There's nothing quite like the durability of bamboo. Sharon has been living in her teardrop for over a year, since she retired. Take a peek inside her lifestyle.